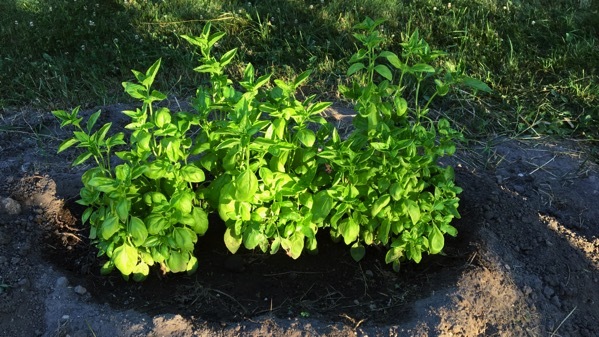 With a generous daily measure of water-added, the basil in the ringfort has been productive. 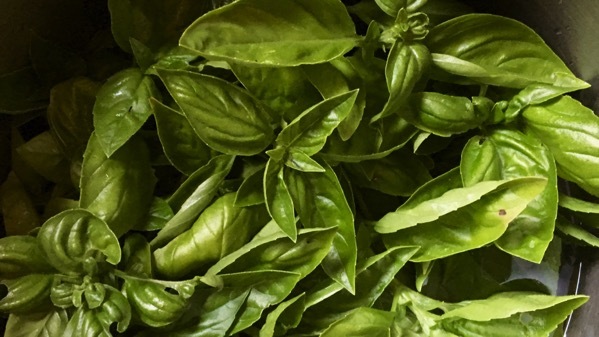 Today we harvested, and the volume was good for a giant dollop of a pesto-like sauce for a big pot of dried tortellini (not to be confused with tortelli or tortelloni…for example). However, it is so dry weather-wise that unless there’s rain after we leave, these tender plants will NOT make it, and there’ll be no later-season harvest. This entry was posted on Tuesday, 10 July 2018 at 9:31 pm.